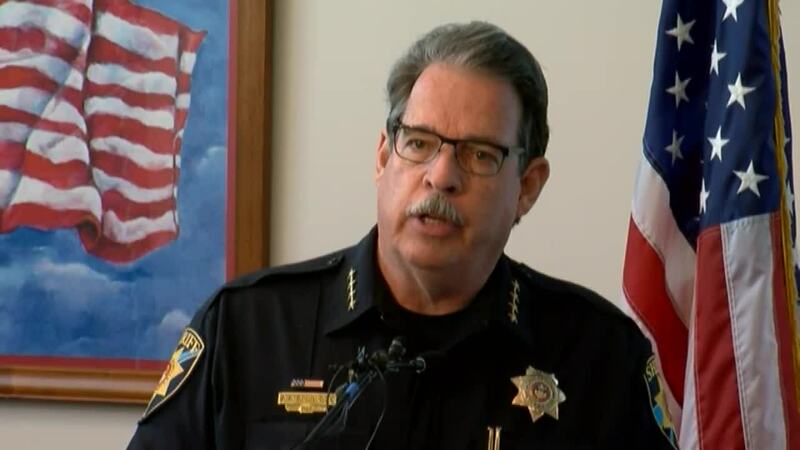 HIGHLANDS RANCH, Colo. — Douglas County Sheriff Tony Spurlock defended his deputies’ actions and the department’s pursuit policy following the death of two bystanders amid a high-speed chase on South Santa Fe Drive early Wednesday morning. During the press conference, Spurlock also released a portion of dash-cam video showing the pursuit that ended in the suspect’s car, a Mitsubishi Lancer sedan, T-boning another vehicle at the intersection of South Santa Fe Drive and West Mineral Avenue, killing two people inside the other car. The victims were later identified by the Arapahoe County Coroner's Office as Jayne Frances Davicsin, 25, and Ryan Scott Carter, 27. The suspect, identified as 20-year-old Deanna May Bixby, was seriously injured in the crash but was taken into custody on three active warrants as well as pending charges related to Wednesday's incident. Authorities are still looking for the driver of a Jeep Grand Cherokee, who Spurlock said was the target of the original pursuit but eluded capture. Authorities later found the Jeep abandoned. Both the Mitsubishi and the Jeep were reported stolen and seen together in a suspicious manner in the Castle Pines area in the early morning hours of Wednesday, according to the sheriff's office. An officer on routine patrol who spotted the two vehicles suspected they were involved in vehicle prowling, as the area has seen a rash in vehicle break-ins over the last couple of years, Spurlock said. Spurlock said that the officer began following the two stolen vehicles, but focused on the Jeep as it moved north onto South Santa Fe Drive. The officer initiated a traffic stop, but the driver of the Jeep took off, driving erratically as the suspect led authorities on a pursuit on South Santa Fe Drive. 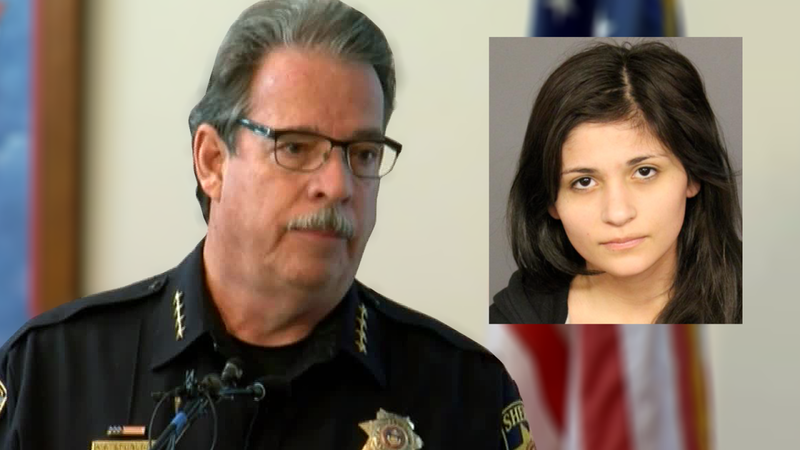 At the same time, Spurlock said Bixby, in the stolen Mitsubishi, was several miles ahead of the first pursuit driving northbound at a high rate of speed in the southbound lanes of South Santa Fe Drive when she was spotted by another deputy, who began to chase the Mitsubishi. However, dash-cam video shows the pursuing deputy was not able to catch up with Bixby’s car, which Spurlock said was exceeding speeds of 100 mph. The video ends with the crash at the Mineral intersection. Spurlock said investigators are still looking into the cause of the crash and called the incident a tragedy. But he said the situation could have been avoided if Bixby and the other driver did not decide to commit multiple alleged crimes.